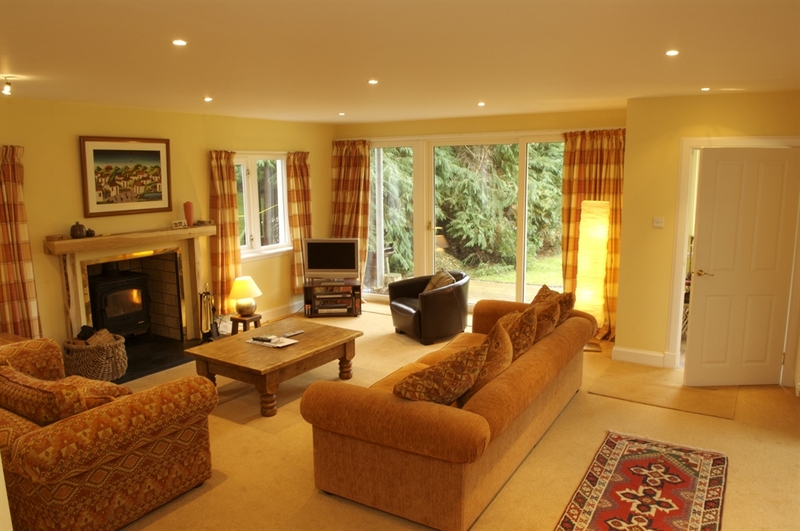 Caberfeidh is a very well appointed house in the centre of Nethy Bridge, within the Cairngorms National Park. The house benefits from a large yet secluded rear garden which is bordered down one side by the River Nethy. Caberfeidh has five bedrooms including a master bedroom with en suite shower room, double bedroom, twin room(all upstairs) and on the groundfloor, a bedroom with a king size bed & en-suite shower room. The other bedroom on the ground floor has twin beds. The kitchen is well appointed with American-style fridge freezer, dishwasher, gas range cooker with double oven, microwave oven, toaster and appropriate small electrical items. The kitchen overlooks the dining room. The dining room has a large table which will seat 10 comfortably. 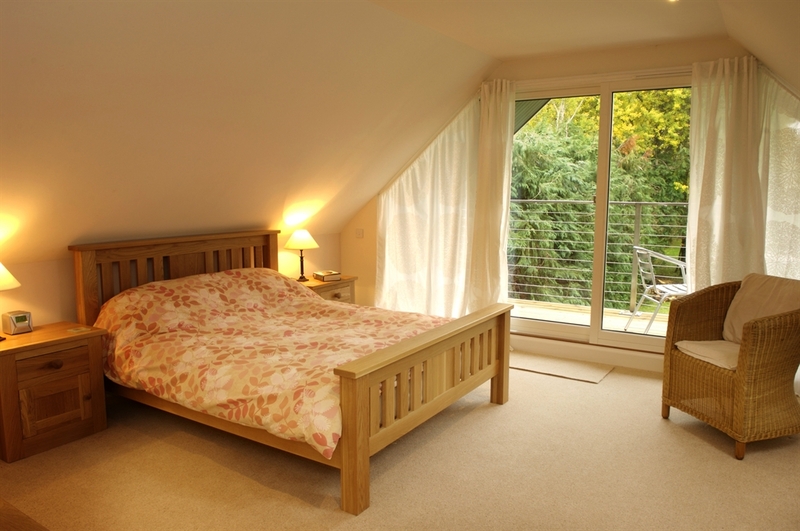 This room looks out over the covered decking towards the private back garden and river. Large double sliding cherry wood doors open from the dining room into the lounge. The lounge has two large sofas and two leather arm chairs. The room has a multi-fuel stove as its focal point. Flat screen TV with Freesat and DVD player provide the modern entertainment alongside a wide variety of games and puzzles. Washing machine, tumble drier, sink and drying space are all provided in the Utility Room. The downstairs twin bedroom also houses a library with over a thousand books including modern fiction, biographies, reference volumes and a collection of vintage and antique Scottish books. This covered area has chairs and a table and provides an ideal spot to view the garden and its wildlife. Summer barbeques can be enjoyed even if, unusually, the weather isn't perfect! The garage is used to store various items of sports kit. There is also a ¾ sized snooker table with a 'den' area in the upstairs of the garage - much loved by the younger generation. The large rear garden also features a large patio area with barbeque and large table for outdoor dining.